Lil Wayne beef with Birdman is causing him problems with his lawsuit against Universal Music Group. Weezy is suing UMG for millions of dollars that he claimed the company owes him through its deal with Cash Money. But the company is saying that the New Orleans rapper need to work out his beef with Cash Money head Birdman before they can reach a settlement with him. A judge agrees with UMG and halted the lawsuit, Billboard reported. Lil Wayne filed a lawsuit against UMG earlier this year claiming that he wasn’t being paid royalties for the artists signed to his Young Money imprint namely Drake, Nicki Minaj and Tyga. The rapper says he is owed a little over $20 million. According to his suit UMG funneled millions of dollars owed to Weezy back into the company and that was then used to pay Cash Money the $100 million advance as part of the distribution deal. Birdman has a deal with UMG. Let’s not forget that Lil Wayne is suing Birdman and Cash Money for $51 million that he claimed he is owed for his albums. 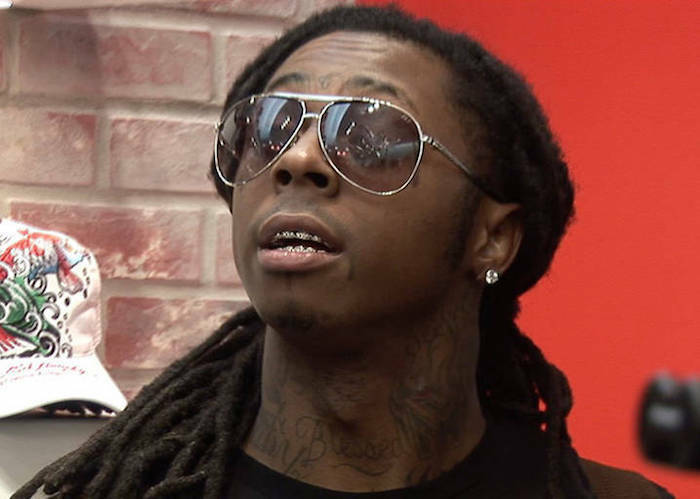 The “6 Foot 7 Foot” rapper also wants a judge to release him from his contract with Cash Money claiming the label is refusing to release his last album Tha Carter V.
Because of the similarity of the two lawsuits, the latest ruling requires Wayne to hand his business with Birdman first because that case will affect his case with Universal Music Group. Lil Wayne and Birdman made a bold move to squash their beef at the beginning of the year but seems that gesture fell through the cracks resulting in the two getting back to being mortal enemies. Weezy also made it clear that he is not with his former mentor and is still suing him to recover his money.